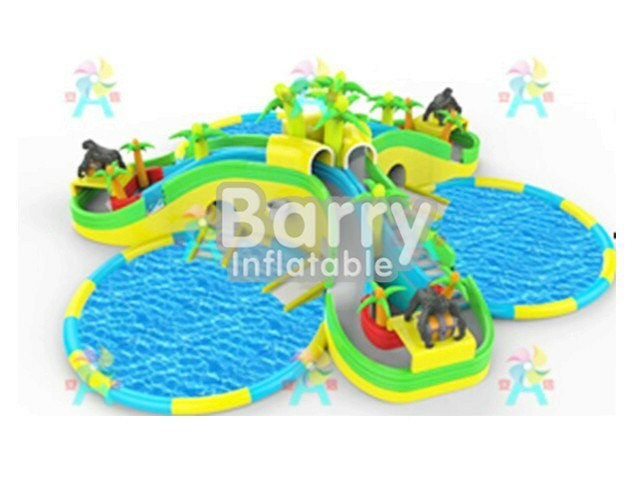 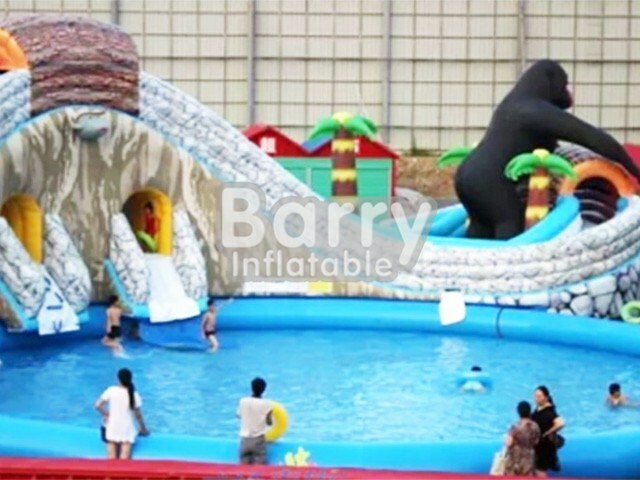 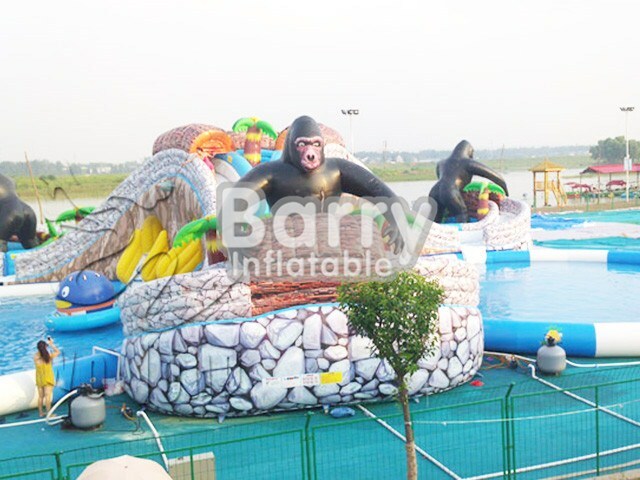 Amusement Water Park - Guangzhou Barry Gorilla Inflatable Amusement Park Supplies BY-AWP-004 - Guangzhou Barry Industrial Co., Ltd. 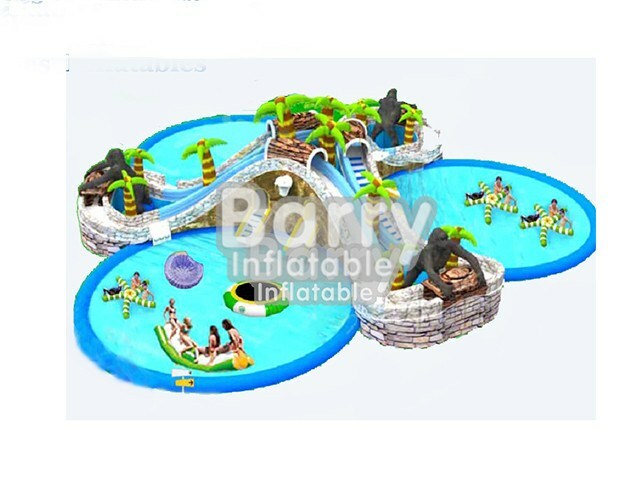 Jungle gorilla theme inflatable water park seems like real scenes,it seems that you walk into a forest.For the design,it is composed of three symmetrical slides.The color of the slide like the mountains.It is wonderful! 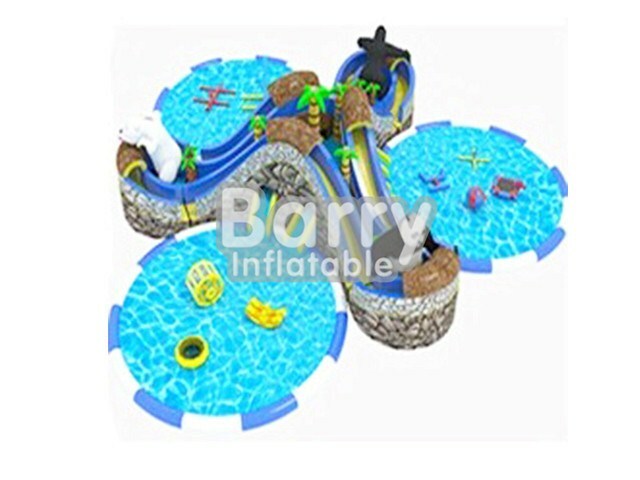 water dogs,iceberg,water walking ball,ect.You must really want play now!